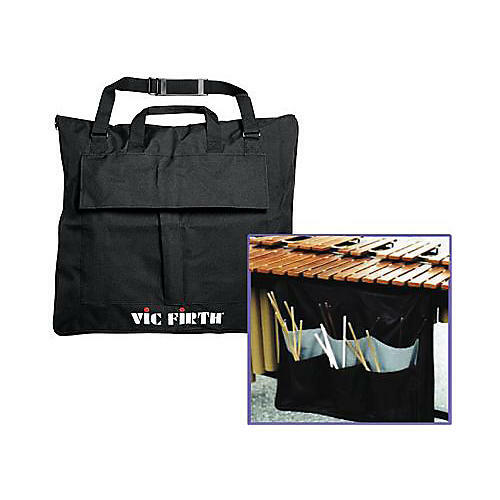 Hang the Vic Firth Keyboard Mallet Bag from your marimba, vibraphone, or xylophone and keep a full complement of mallets and sticks handy. 6 large pockets in 2 well-spaced rows of contrasting material facilitate fast mallet changes. Features 2 inner pencil pockets and a large outer pocket for music, a metronome, or accessories. Water-resistant nylon with a heavy-duty zipper. L = 24", W = 27". Holds ALL your keyboard mallet accessories. Order today.